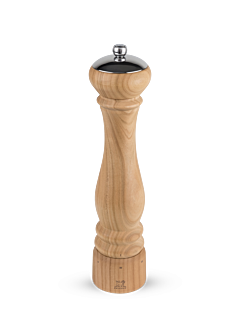 An indisputable symbol for great chefs and the finest dining tables, Peugeot's iconic pepper mill is available in exclusive collections to enhance the diversity and intensity of the aromas of pepper. 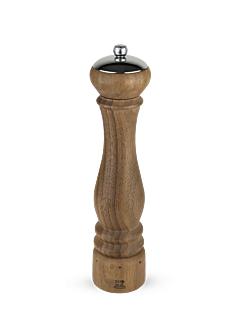 Manual pepper mill in wood natural u'Select 27 cm - 10,75in. 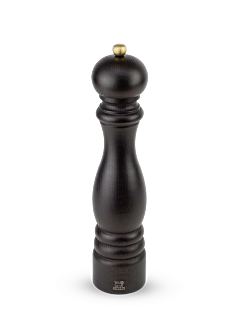 Manual pepper mill in acrylic, black 8 cm - 3in. Vintage silver-plated Peugeot pepper mill 10 cm - 4in. 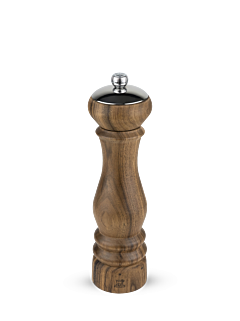 Manual pepper mill in wood, chocolate 8 cm - 3in. 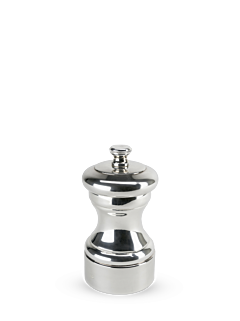 The Peugeot pepper mill has been reinventing itself for over 160 years. With its historical savoir-faire and craftsmanship in the manufacture of steel, and its desire to enhance everyday objects with beauty and elegance, Peugeot has combined functionality and refinement in mechanisms designed to make every task a joy. 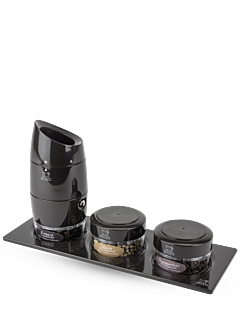 Manufactured in steel, with the u'Select patented adjustable grinding system, wear-resistant and guaranteed for life, the Peugeot pepper mill benefits from a specific treatment that protects it from corrosion and preserves its cutting edge which chops the peppercorns rather than crushing them. 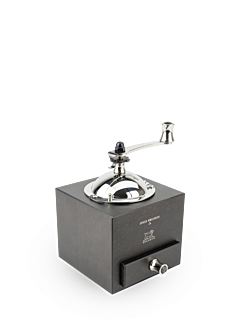 It offers a grind that can be adjusted, from coarse to the finest, to bring out all the intensity and character of the aromas of pepper and reveal the subtlety of its flavours. 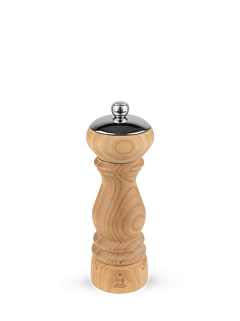 Electric or manual pepper mills, wooden or stainless steel pepper mills, traditional or contemporary pepper mills... Peugeot pepper mills are symbols of taste par excellence, with their understated, refined contemporary lines that confer the qualities of a piece of art, making them worthy of the most sophisticated interiors. These essential items raise tableware to the heights of the French art of living.